There are some items on a menu that you move right past because damn, you could just throw that together at home. Where's the sous vide? The duck fat fryer? In what world are you going to pay someone to make you a bowl of black beans with avocado slices? That would be the world of Beachcomber (1602 Old Arcata Road, Bayside), where plastic animal toys signify your table's order and artfully tattooed couples nibble organic scones over the pass-along Chronicle. 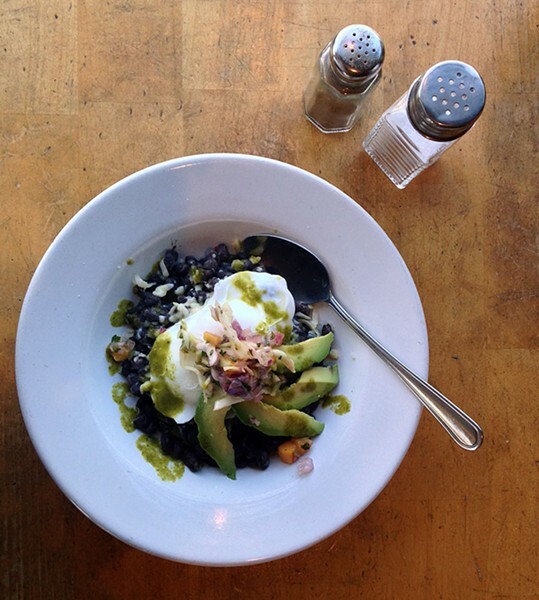 A reader emailed about the Beloved Bean Bowl ($9.75, $6.95 half order), with its black beans, avocado, poached egg, Jack cheese and salsa, all of it organic, cage-free, etc. The egg yolk is perfectly creamy and the beans are firm and smoky against the bright red onion, tart green chilies and scattering of mango. In short, it bears little resemblance to the cry for help that is your end-of-the-month canned bean bowl at home. Your mom does not make you tuna sandwiches this nice. Sorry. So, too, the smoked tuna sandwich, recommended by the same reader who is clearly not bound by willful self-sufficiency. There is, after all, pleasure in having someone make a sandwich for you — take a moment to reminisce, then make a phone call and reconnect with your parents or that old guy from your favorite deli because that is love. Sure, some may look at an $11 tuna sandwich (no fries, no sides beyond a pinch of dressed greens) like one of those $400 Pentagon hammers. For one, the city block of a sandwich isn't the canned tuna and mayo you're smashing with a fork at home. It's salted and smoked tuna, rich and oily with black pepper. Mixed in are chopped pimento olives, walnuts and a little mustard on fresh, soft Rosemary focaccia. The kitchen was out of tomatoes when we ordered ours, so shredded carrots were subbed in to fine effect. If you're willing to take that kind of time and effort to spoil yourself at home, congratulations: You and Oprah are living your best lives. 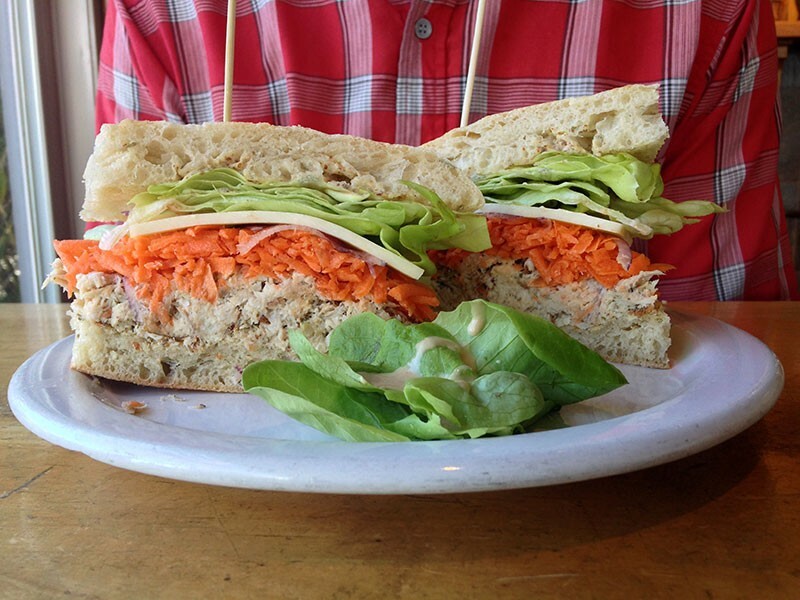 The rest of us should probably just order the smoked tuna salad sandwich. Got the goods on good eats in Humboldt? Send the Hum Plate investigative team a tip at Jennifer@northcoastjournal.com.